Batgirl is one of Batman's side-kicks and a member of the Bat-family, similar to Robin. Unlike Robin, Batgirl takes on a costume similar to Batman's, both in appearance and color scheme. She patrols Gotham City, using her skills, gadgets and wits to stop crime. 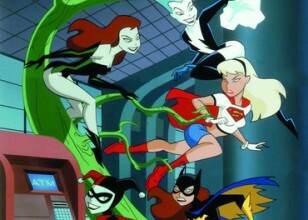 There have been multiple Batgirls throughout the Batman series. The most popular and best known Batgirl is Barbara Gordon, the daughter of Commissioner Jim Gordon who regularly works with Batman. 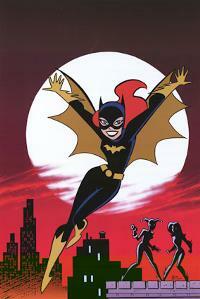 Barbara's natural athleticism and great technological proficiency served her well as Batgirl. However, in Batman: The Killing Joke, Barbara was shot by the Joker in the spine, leaving her paralyzed from the waist down. Unable to serve as Batgirl, Barbara Gordon became Oracle, an international super-hacker and computer expert who assists Batman by providing information while in the field and performing complex computer work. She regularly helped Batman via radio while he was out patrolling Gotham. 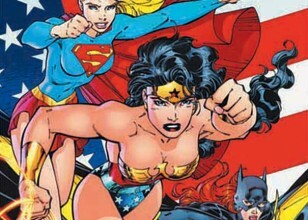 As Oracle, she also formed the superheroine group, Birds of Prey, and supports them from her computer. Following Barbara's retirement, several new Batgirls rose up to take her place. The best and most known of these secondary Batgirls was Cassandra Cain, the daughter of renowned and feared assassin David Cain. Cassandra was trained from birth by her father to be the perfect killer. She took on the cowl to atone for her and her father's crimes and use her skills for good. Other Batgirls include Helena Bertinelli, also known as the Huntress, Stephanie Brown, also known as Spoiler and a former Robin, and Misfit, who possessed teleportation powers. Following Flashpoint and the DC Universe reboot, Barbara Gordon has returned to the cowl and become Batgirl again, following a miraculous recovery from her injury. Cassandra Cain remains and has taken on a new identity as the Black Bat.